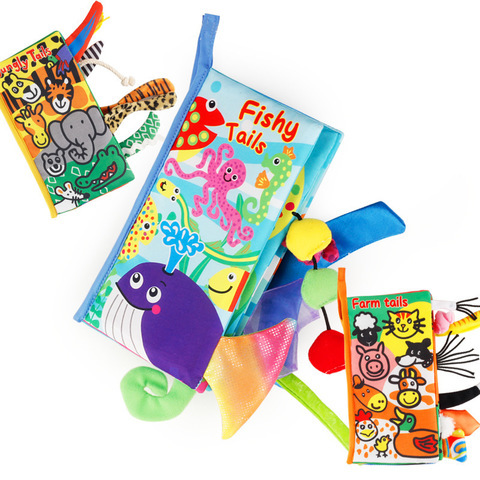 【High Quality】:100% Brand New and High quality Toys, made of high quality polyester silk and cloth with New super fine soft PP cotton (CE certification), Non-toxic and tasteless soft animal tails cloth book toys with environmental quality paint and no extra thread and smooth edge, safe for your babies to chewing while play with them. 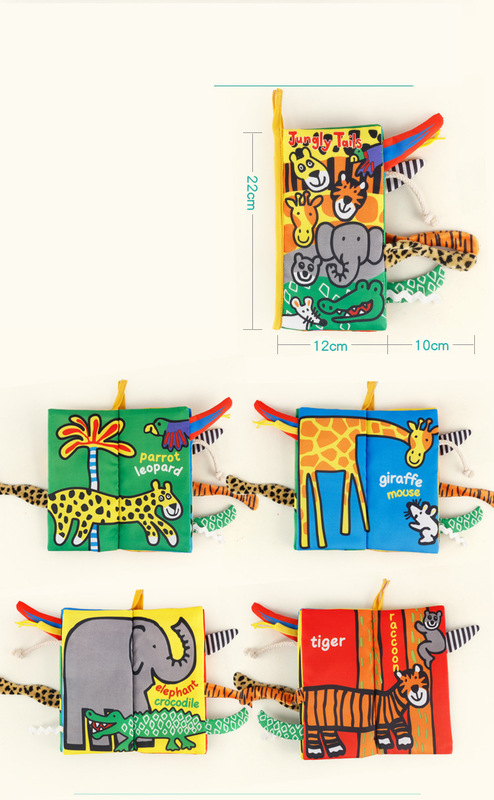 【Lovely Animals】: This animal cloth book has lovely animals with the plush animal tails to let your babies know more animal via viewing and touching. No reflection that protecting your kids' eyes different from the tradditional books, and also can be washed with water. 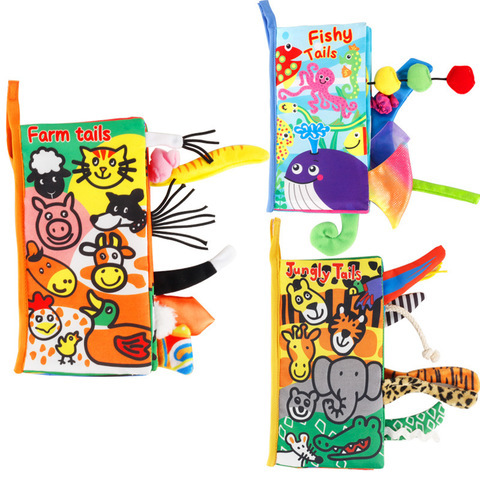 【Vividly Colorful】:Our animals cloth toys have lovely animals shapes with bright colorful look, attracting more to your little babies. Stimulating your little baby's learning interest and concentrating their attention for a long time to read and play with these cute animals. 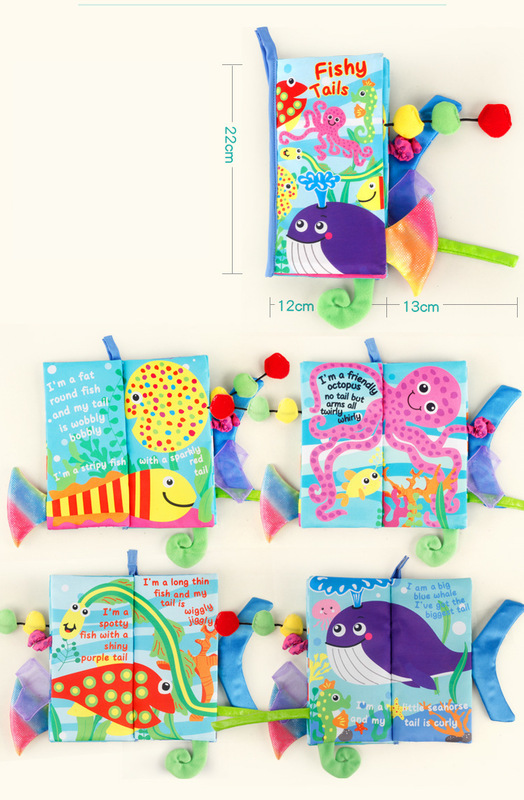 【Baby Early Intelligence Development】: This soft and squishy book is bursting with color, sound, texture and movement, uppermost, lots of fluffy animal tails, which develops children's sensory awareness meanwhile.This appealing series will entertain children while giving them a head start on learning. 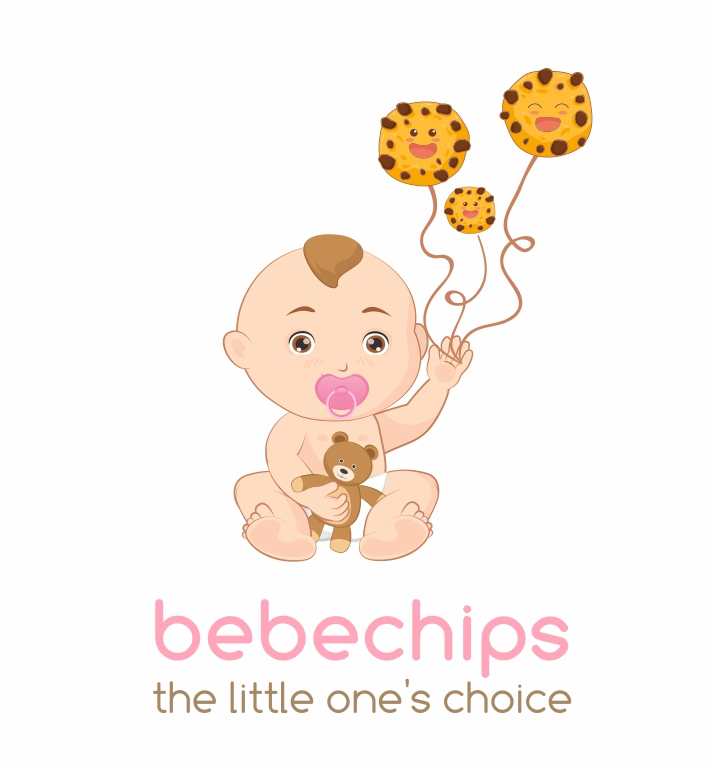 【Perfect Gift for your Babies】: All the parents always want to give the best to their children. Our lovely animal tails cloth book toy can perfectly meet your requirement, promoting the communication between you and your little kid while learning and playing this lovely cloth book. 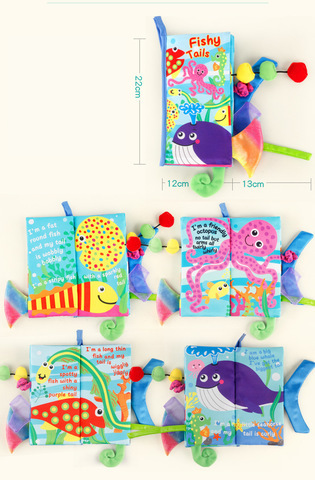 Perfect Gift for 0-2 year-old babies.